The story of Clarkes Hotel dates back to the 1920s, when Mr. Ernest Clarke arrived as Manager of the then Cecil Hotel. Both Mr. Clarke and his wife Gertrude had a keen eye for talent and took a great liking to the honesty and hard work of young Mohan Singh Oberoi, the front desk clerk at that time. On returning to holiday in England, Mr. Clarke and his wife handed over the management of the hotel to Mr. Oberoi. During their absence, he made such a success of the hotel that they decided to sell it to him upon their permanent return to England. After five years’ continuous hard work, Mr. Oberoi became the sole and absolute owner of the hotel, and subsequently changed the name to Clarkes, in tribute to Mr. Ernest Clarke. 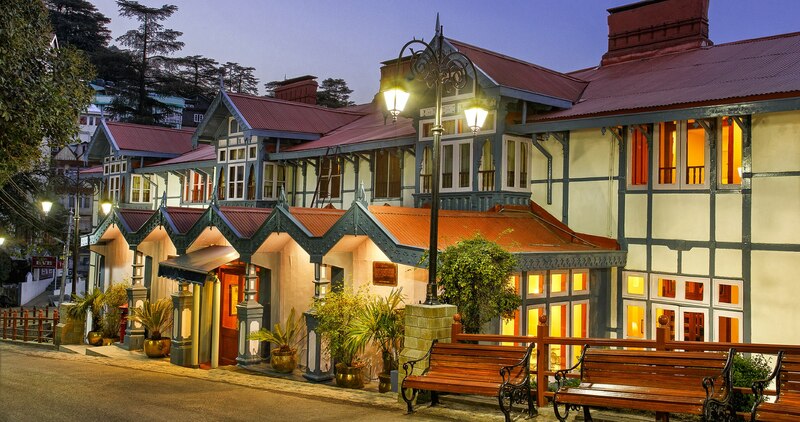 Clarkes is one of Shimla's oldest hotels, and was the launching pad for the extraordinary journey of triumph and accomplishment that marked the life of the legendary hotelier: Mr. Rai Bahadur Mohan Singh Oberoi. Nowadays, Clarkes Hotel resembles a grand colonial bungalow, with all the elegance and grace of the British Imperial era. The 32 rooms and suites are tastefully appointed and some of them offer spectacular views of the mountains or Shimla. The pillarless dining room was built during the times of the British Raj and serves a wide range of Indian and continental cuisine. The late 18th century bar, which adjoins the reception area, is a comfortable space for guests to either relax with family and friends, or enjoy some quiet time at the end of a day sightseeing. Clarkes Hotel also has a glazed conference hall which can accommodate up to 60 guests and offers views across Shimla town. Clarkes Hotel harmonises old world charm, modern comforts and world class service.